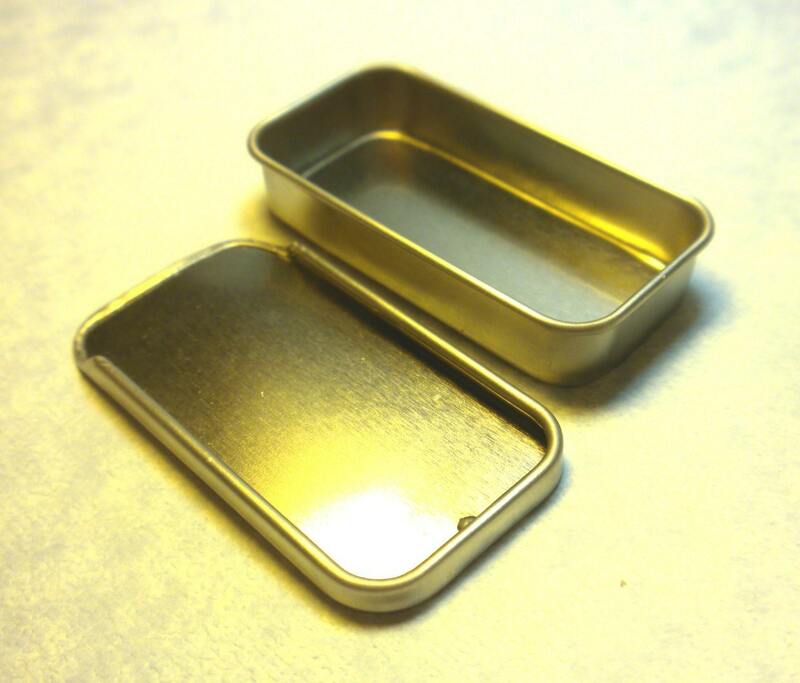 This slider tin is the smaller 1.89 x .91 x .35 inches (48 mm x 23 mm x 9 mm) and they each hold 1/4 fl oz. 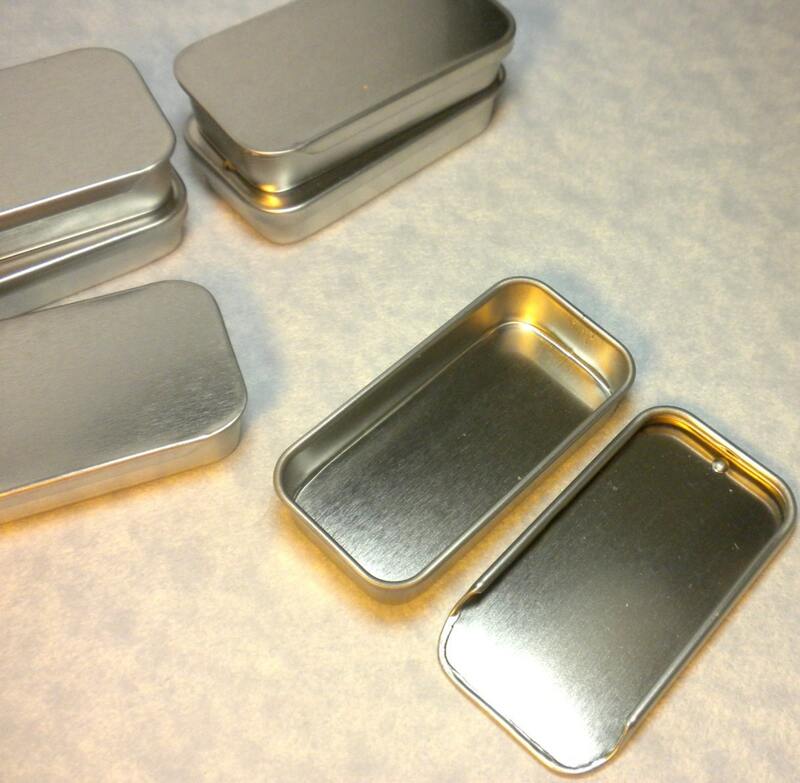 They are seamless with rolled edges, and food safe for your lip balm, mints, or candies. Or you can use them to hold pendants, scrabble tiles, earrings, or anything else you can think of! 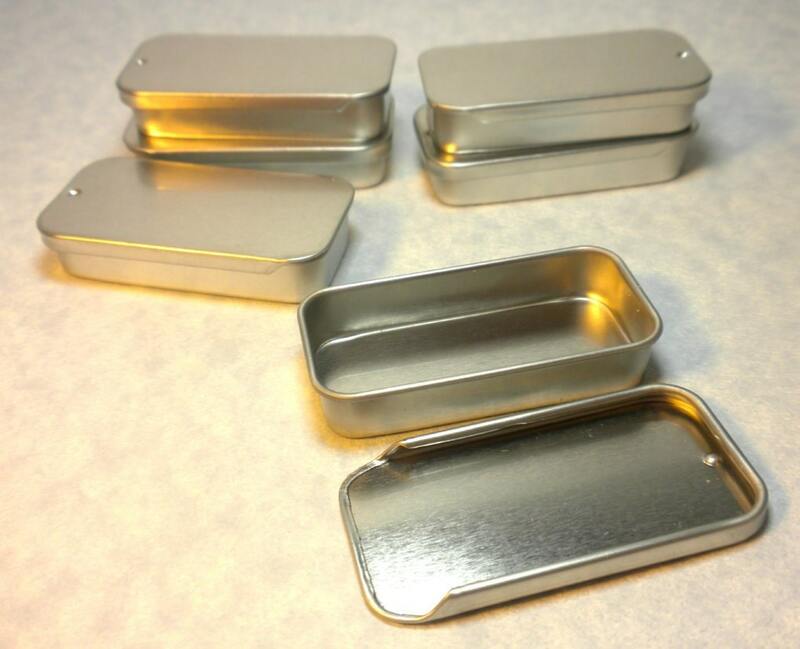 You can decorate the top and/or put your company's label on it, making it great packaging that you can brand! 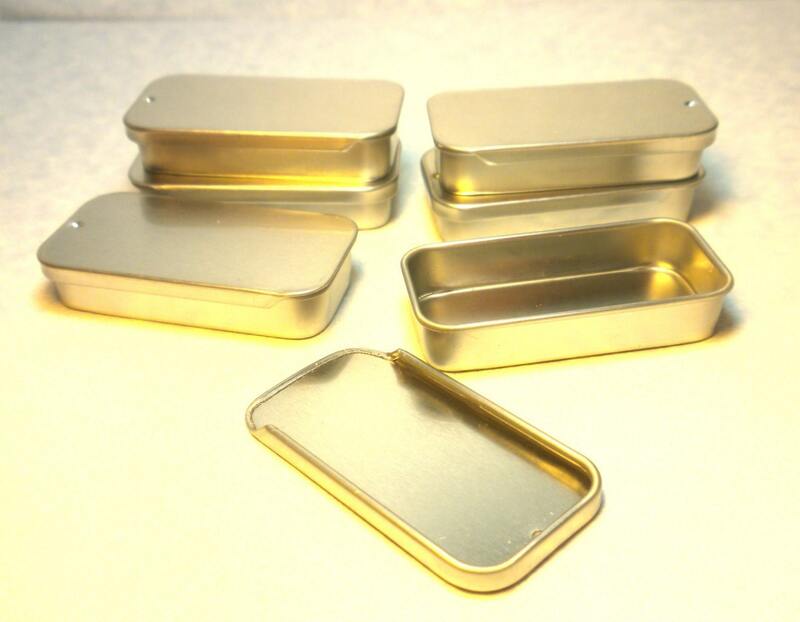 Each of these tins holds 1/4 fl oz. 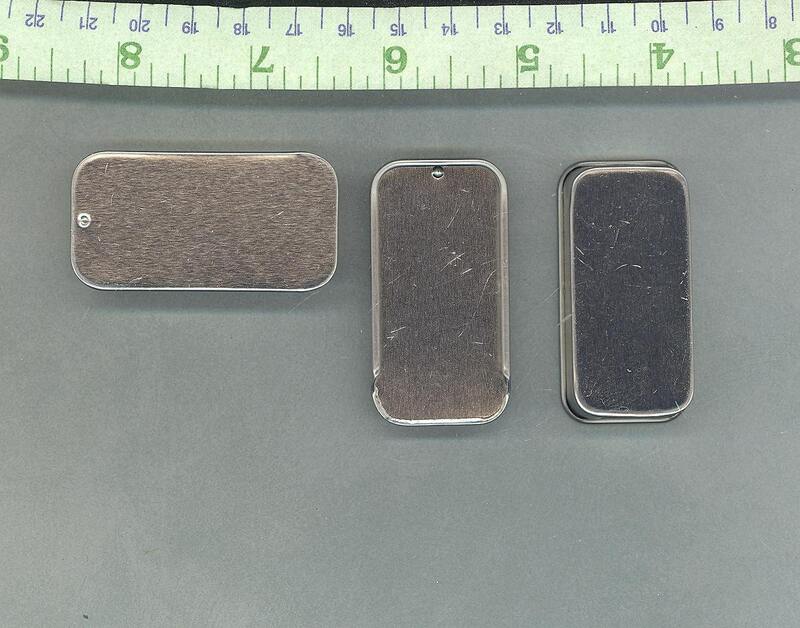 These are tinplated steel metal. I have other quantities listed as well. Thanks once again. Love them! Greetings to my favorite state of Vermont! Just what I was looking for! Wish it had a stopper so the top wouldn't completely detach and potentially fall off but otherwise perfect. Thank you!